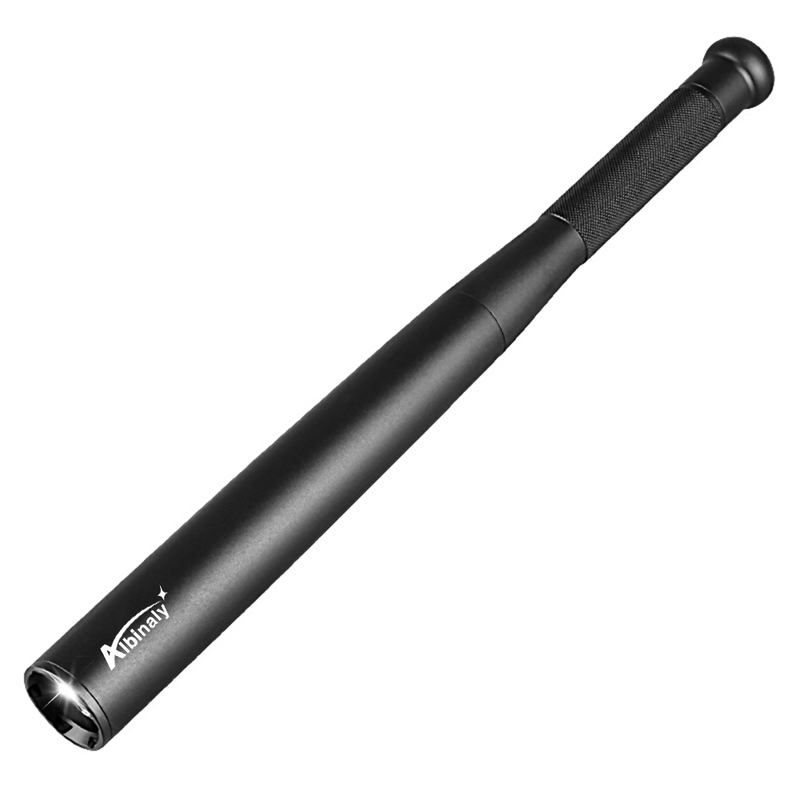 This powerful torchlight is purely designed for security and self-defence purpose. Its a strong baton with an output that is good enough for security purposes. It could be a walking stick + torch, self-defence tool, a great security tool for the security guards and an ultimate riot tool for security personnel. The Baseball Bat Self Defense Flashlight is an incredible all-around LED flashlight for every household and vehicle. Aluminum construction means this light is tough and reliable. Waterproofing protects this light against water, while its durable materials protect against drops, impacts, scratches, and corrosion. The defense and brightness of this flashlight make it an excellent companion for walking home at night. Multiple output modes give you the bright outputs needed for outdoor landscapes as well as lower settings that will save you from blinding yourself in closer quarters. By combining the rugged durability and cutting edge design the Baseball Bat Self Defense is a truly top notch, well-rounded flashlight. They shippet it within 6 days. It has high quality material and flashligt. Absolutely great produckt! just as described, I am going to try it and will leave a more detailed review. Very strong and bright light. No damage,, feels like solid alu, Nice strong light, fast posting, recomended! I received the package today. I will check it later. Thanks. Fast delivery. Works as described.